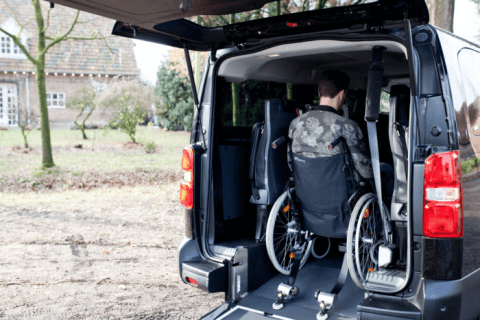 There are several possibilities to transport passengers in a car that is adapted as a WAV. Below you will find the different options that we offer. 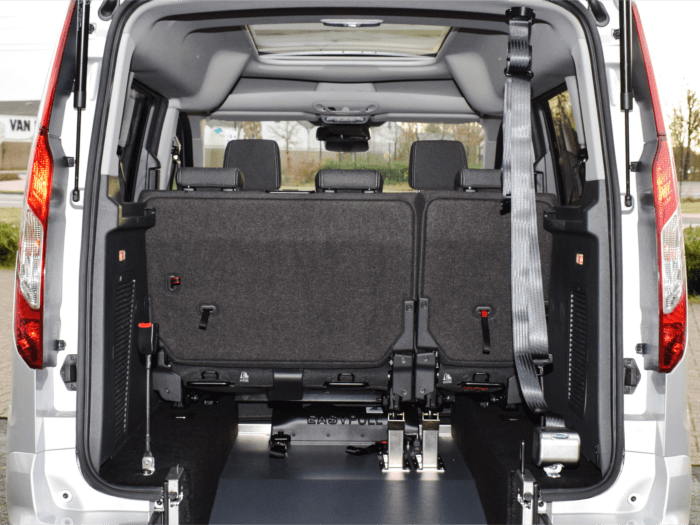 If you would like to get more information about the possibilities in your own car, please contact us. We are happy to advise you. 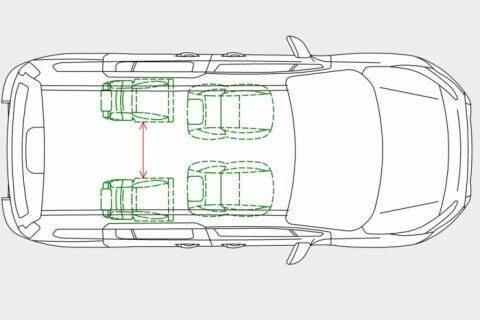 Most cars have a bench on the 2nd row. This bench can be mounted back in most cases. When the bench is folded up the wheelchair user fits into the WAV. If the bench is folded down you can take passengers with you. 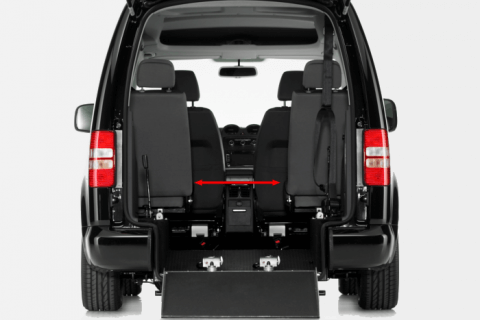 In an extended (long version or Maxi) vehicle there sometimes is a bench on the 3rd row. This bench will be removed and the bench on the 2nd row will be mounted back in its original spot. 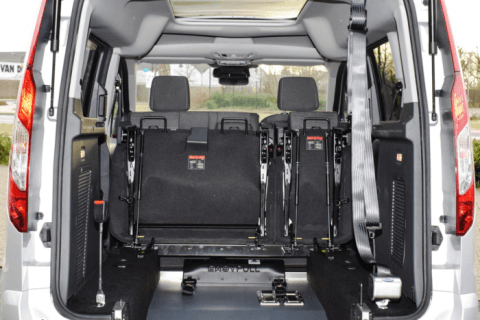 It is also possible to mount twist-fold seats on the 3rd row. Instead of the bench we can install seats. The seats will be mounted on a console. You can choose between a fixed seat or a removable seat. The width of the seat is about 42 cm. 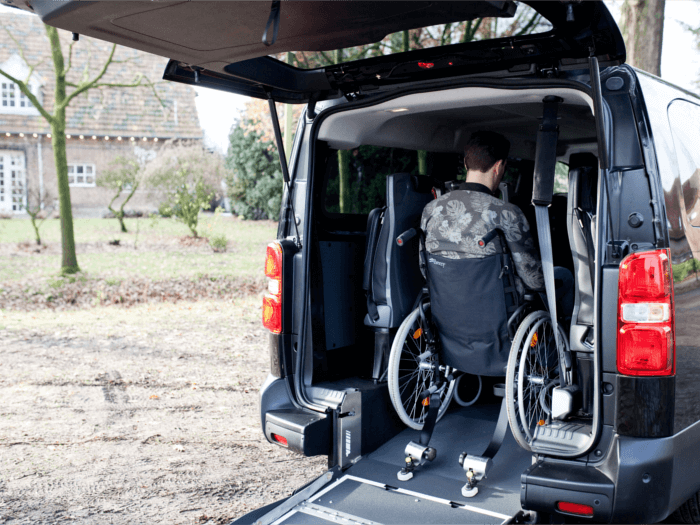 In most cases it is possible to place a wheelchair between the two seats. 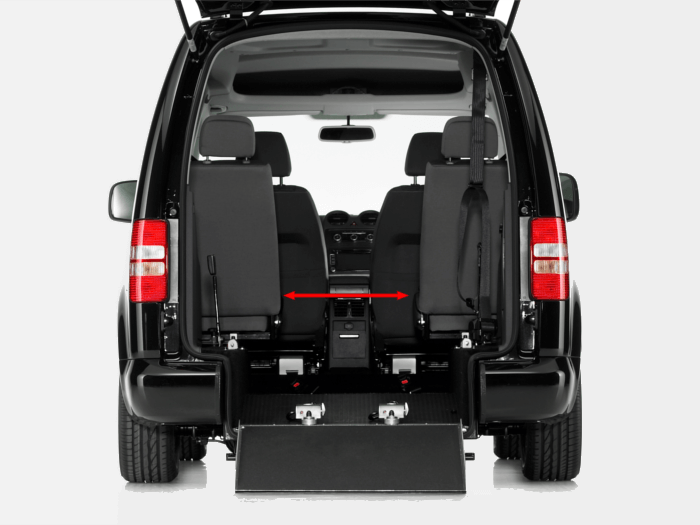 If you opt for the removable seats you have more space for the wheelchair user when the seats are removed. 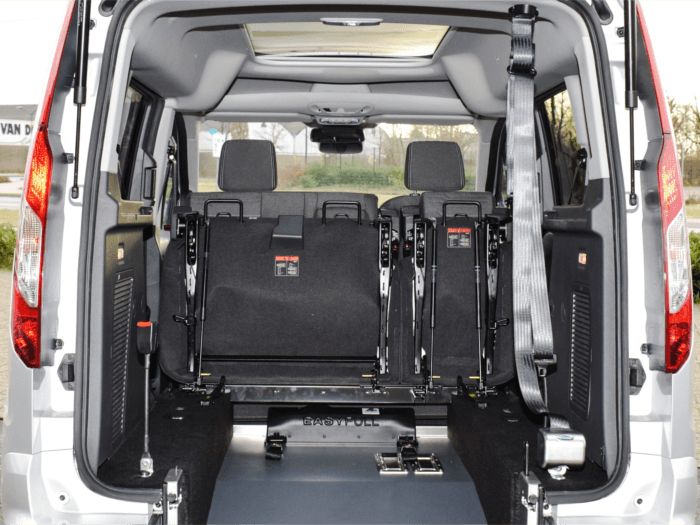 When using the car without a wheelchair user, you can place the seats back so that you can take other passengers with you. 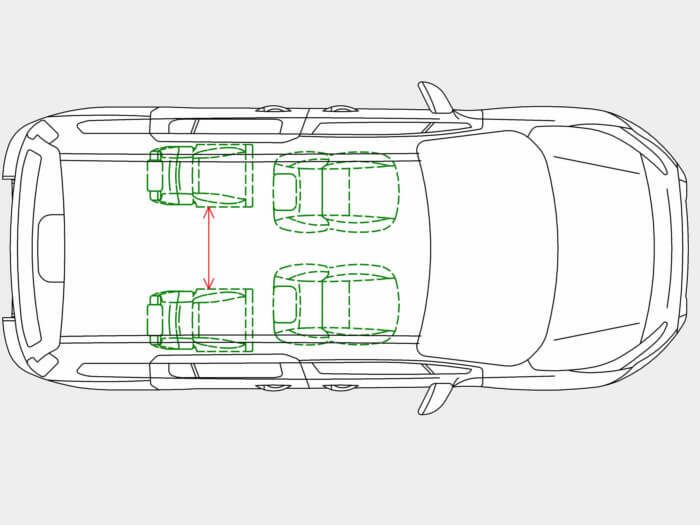 The distance between the seats varies per model. 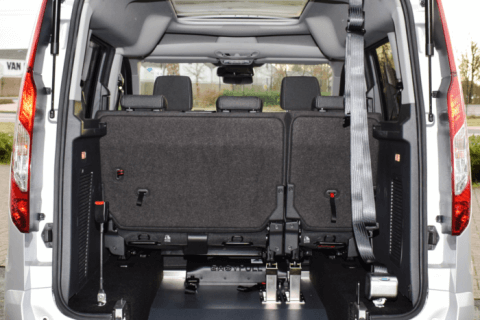 The advantage of the twist-fold seats on the 3rd and/or 4th row (depending on the model) is that they turn to the side of the car. As a result, you have enough space between the seats to take a wheelchair user with you. 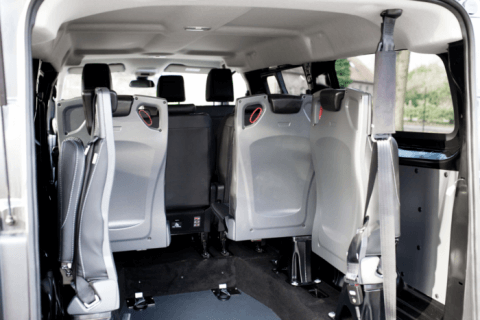 The seats remain in the car. This is a very flexible way of transport. 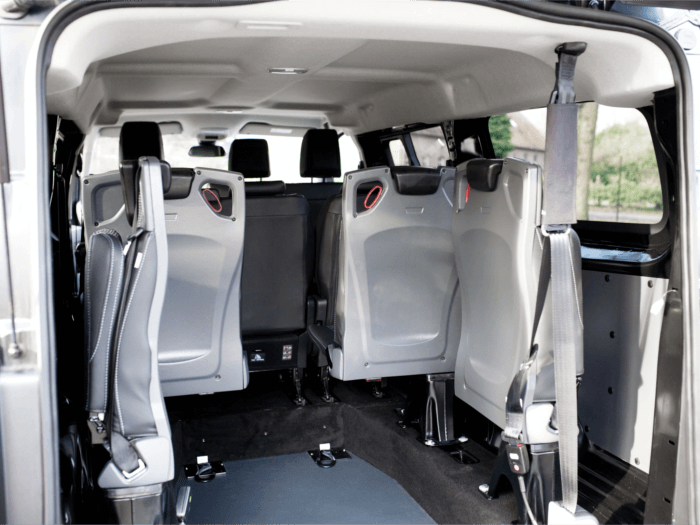 These seats can only be used with specific models such as extended vehicles and taxis. Any question about the products can be answered by our advisors. Please don’t hesitate to contact us.